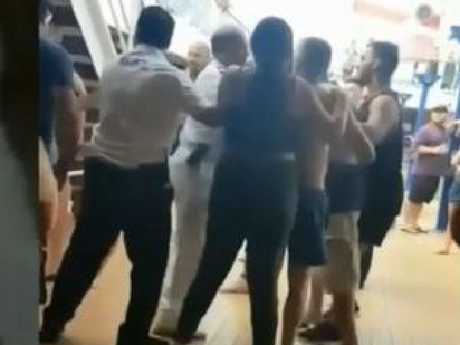 NEW details have emerged about three families involved in the cruise ship brawl which reveal more about the conflict that has made news around the world. News.com.au can reveal the group at the centre of the Carnival Legend drama was in fact three families comprising a large extended Italian family group with two sets of Italian grandparents, a Lebanese-Australian son-in-law and one Assyrian Australian friend. The family initially clashed with a group of "Aussie males" after one stepped on the thong of an Italian-Australian female. After that "niggling, pushing and shoving" ensued between the two groups. But the final clash was only between the family and security officers after cruise staff ambushed them in a corridor of the ship. 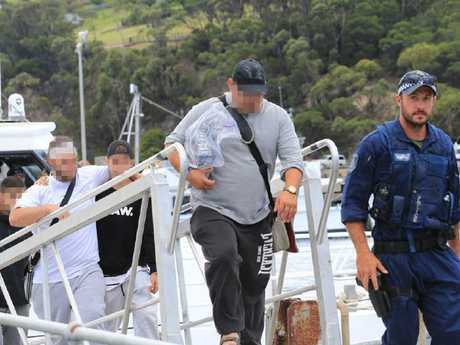 NSW Police said six men and three teenage boys were removed from the ship. A further 14 passengers, including women and children, then also voluntarily left the ship. No one has been charged following the incident. 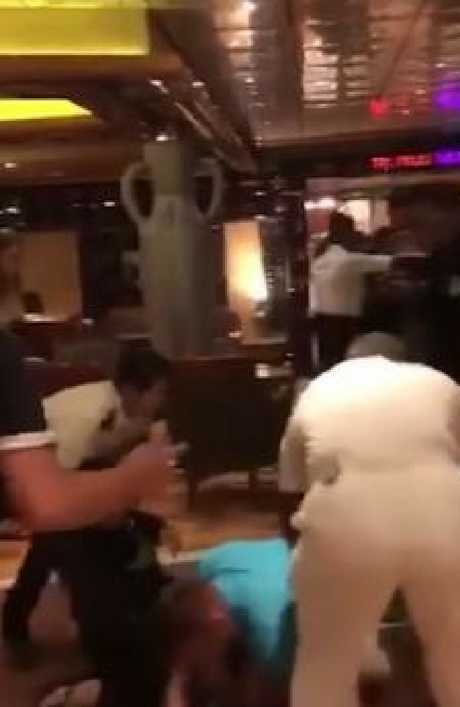 During the clash, a woman described as a mother was allegedly assaulted by cruise staff which caused the violence to escalate. Passengers from the Carnival Legend being taken off the cruise ship by police in an unscheduled stop in Eden, NSW. Most of the family group went to sleep after the melee and woke the next morning to be told they would be interviewed by police. Members of the Italian-Lebanese family were treated in the ship's medical wing for cuts and bruises with four members in particular "battered and bruised from head to toe". They were surprised to be told to assemble last Friday morning by cruise officials who had already requested police to remove the family members from the ship. This new account was given exclusively to news.com.au by one of the drivers who ferried the passengers from Eden on the NSW south coast, where the ship was met by police, to Canberra. The family was surprised to learn that flights had been organised and paid for by Carnival Cruises to take them home to Melbourne. Despite media reports, the only Assyrian Australian in the group was George Barkho, a friend of the family, whose father David runs a successful executive limo business in Melbourne. There is no suggestion George Barkho was violent or engaged in any fighting. David Barkho, who once drove Virgin boss Richard Branson to the races at Flemington and described the billionaire as "down to earth", has been targeted by online trolls since the ordeal. 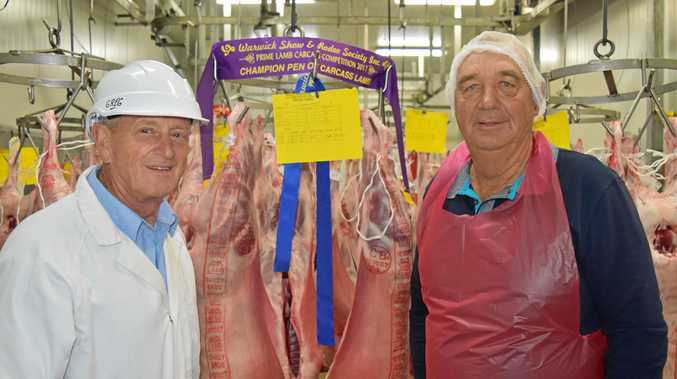 Members of all three families come from Melbourne's north east. The fight on the ship has attracted worldwide attention. The driver told news.com.au that the four family members most affected by the overnight fracas with cruise staff were "very sore and sorry" but also respectful and obliging during their trip to Canberra. 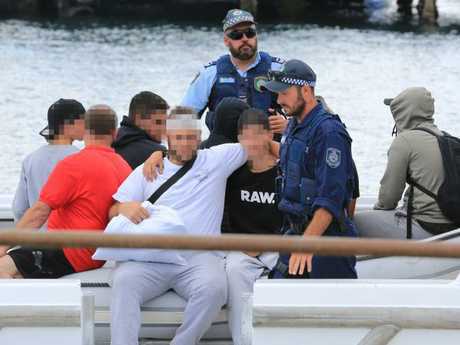 Police told drivers not to worry about the behaviour of the family group who had co-operated with officers during interviews taken from the ship. News.com.au was told members of the family accepted they had not taken the chance to "nip it in the bud early" and realised "they weren't totally innocent". However, the driver said they felt they had been badly treated by crew members who allegedly kicked and assaulted them, including one plain clothes staff member who wore cream pants and blue shirt. Video of the stoush showing the crew member has been mistakenly identified as one of the family members. The fight resulted in some passengers being removed and interviewed by police. Mr Barkho refused to comment to news.com.au and a spokesman for Carnival Cruises would not comment on the claims. "An investigation into all aspects of the Carnival Legend cruise is currently being conducted and our intention is to allow it to run its course without further comment pending its completion," he said. The company has previously said "all aspects" of the cruise "including the security response" was being investigated. None of the passengers have been charged by police.